Leroy Smith III, found not criminally responsible in the 2014 killing of his father, will be allowed to be out of Riverview Psychiatric Center for up to six hours at a time with one-to-one supervision by the hospital staff. 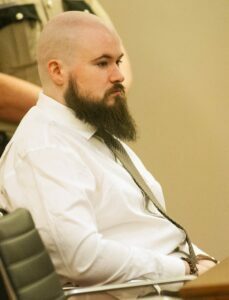 AUGUSTA — Leroy Smith III, found not criminally responsible for killing and dismembering his father in 2014, now has a judge’s approval to spend up to six hours of supervised time in the community as far as 60 miles away from the state psychiatric center where he’s a patient. Smith, who in September 2017 was found not criminally responsible in the death and dismemberment of 56-year-old Leroy Smith II in their Gardiner apartment, was committed to Riverview Psychiatric Center for an undetermined amount of time. Smith at the time had a number of delusional beliefs, including that his father was trying to poison him, that he was a political prisoner and that the heavy metal band Slayer was involved. Following his commitment to the state hospital, Smith was granted approval to leave the facility and go out into the community, within a five-mile radius of Riverview, as long as he was supervised by at least one mental health worker, for up to three hours at a time last year. Superior Court Justice Bruce Mallonee on Friday approved a petition filed by Smith’s attorney, Scott Hess, upping the amount of time Smith can spend, still under at least one-to-one supervision, in the community and out of the state institution to up to six hours. Conditions allow him to travel as far as 60 miles away from Riverview during that time, as long as he follows his treatment plan consistently. Police say Smith stabbed his father to death, dismembered the body and distributed body parts in trash bags in a rural area off Lincoln Street in Richmond in 2014. 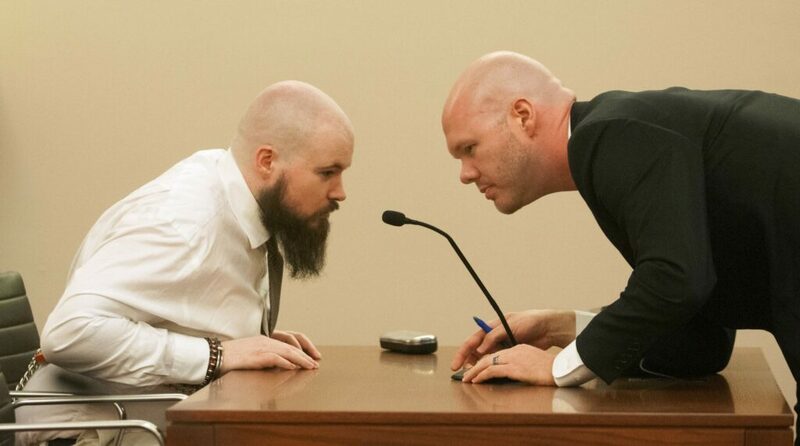 Smith, 29, told police he stabbed his father in the head and neck and then used three knives to “dismember his father,” according to an affidavit filed in court. The state medical examiner found that the elder Smith was stabbed to death, saying he died of “sharp force trauma,” according to investigators. He claimed his father was trying to poison him by putting rat poison into his food, so he had to act first. If Smith doesn’t follow his treatment plan, leaves Riverview or commits new criminal conduct, Mallonee’s order states, the violation must be reported to the court and state within 48 hours and his off-grounds privileges may be revoked. At a January 2016 hearing, when he was found incompetent to stand trial, Smith told a judge that his lawyers had failed to represent him properly and that a gun was held to his head in 2011 in an incident involving the heavy metal band Slayer. “I had a gun held against my head and was sworn to keep secret about what I am,” he said, adding, “The whole entire group Slayer was there.” At one point in the case, Smith also claimed to be a political prisoner. The elder Smith lived in fear of his son and knew he suffered from mental illness, Assistant Attorney General Donald Macomber said at the time of the plea. Friends described the elder Smith as friendly and a passionate musician skilled in carpentry and mechanical work and said he was trying to help his son. The younger Smith, whom forensic psychologists have said was suffering from delusions when he killed his father, was put in the custody of the commissioner of the Department of Health and Human Services and placed at Riverview for treatment. Patients in the custody of the commissioner like Smith can petition the court, as often as every six months, for changes in the conditions under which they are held. Under a 2015 law, Smith was the first person in Maine to be forced to take psychiatric medication in an effort to restore his mental capacity to be able to participate fully in his defense.